The New York Transit Museum is located in a decommissioned subway station in Brooklyn - conveniently just a few blocks from where I work. I took a lunch hour excursion there to check it out today. 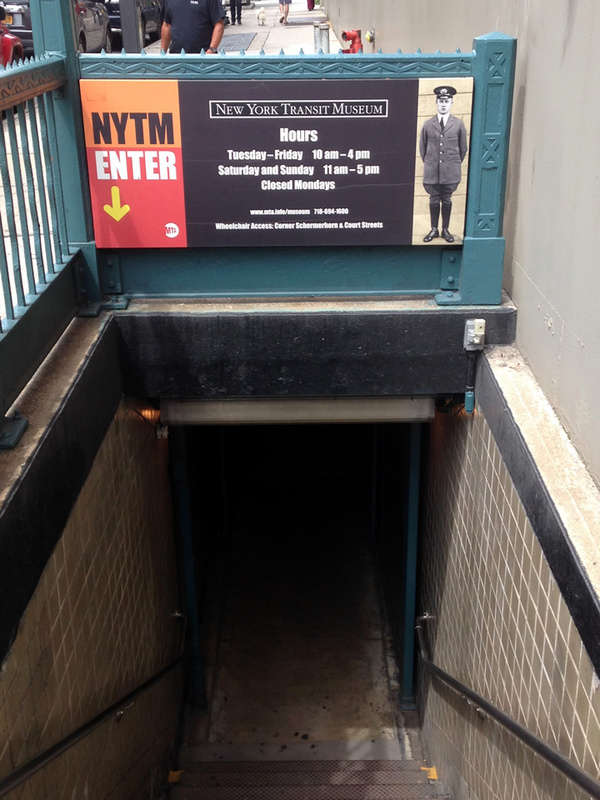 To get to the museum you use a subway entrance and go down two flights of stairs. In addition, on this "top" floor there are detailed exhibits about all the disasters that befell the subway system through the years and how these emergencies were dealt with. 911, The NYC Blackout, Hurricane Sandy, Hurricane Irene, etc. Its amazing to see the scope of damage from each one of these terrible events and the resiliency needed to get the system running as quickly as possible again. 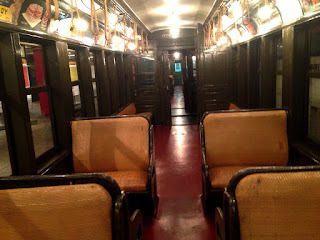 But by far the best was the bottom floor - the actual subway stop that was now brimming with transit cars from all the ages.. This was a pump car, housing an enormous pump used to pump out flooded water in the tunnels. They even had a caboose!